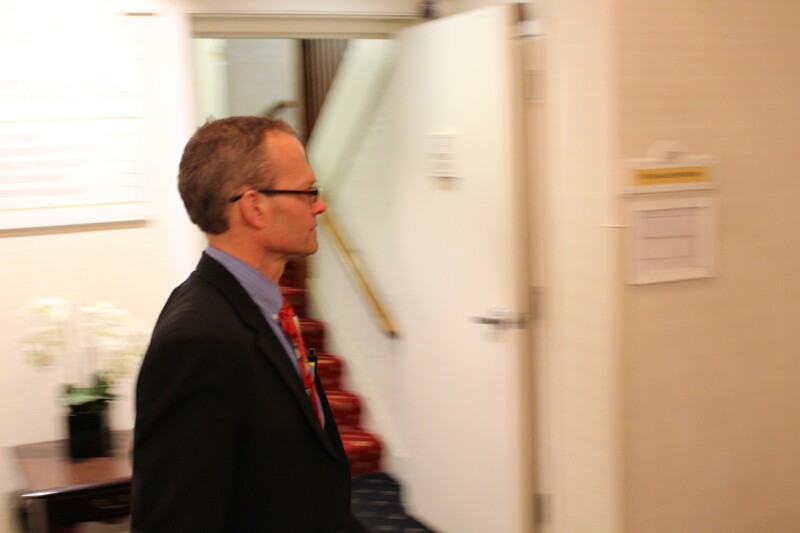 Rep. Willem Jewett (D-Ripton) enters a $500-a-head lobbyist fundraiser in May 2014. When the Vermont House voted 137 to 1 Wednesday to restrict lobbyist donations to legislators' political action committees, one House member was conspicuously absent. Rep. Willem Jewett (D-Ripton), the former House majority leader, approached House Speaker Shap Smith (D-Morristown) at the dais shortly before the vote — and then disappeared from the chamber before the roll was called. "Did I?" Jewett said Thursday when asked about his absence. "I heard the debate." So why didn't he cast a vote on an amendment that would prevent leadership PACs from accepting campaign contributions from lobbyists until after the two-year biennium concludes? "I didn't think it was a complete thought," he said of the bill. "Look, money finds the path of least resistance, and if anyone believes that that's going to somehow undo things, they're sorely mistaken. So you can pat yourself on your back if you want, but... I didn't think it was fully vetted. So that's what I chose to do." "You left the chamber so you didn't have to vote?" Seven Days asked. "I did. Yes," Jewett said. Why didn't he just vote no? "I didn't think we really had a debate on it," Jewett said. "I was unsatisfied with where it had gotten to and that was the choice I made." So then why not stand up and debate it? "I really hadn't had time to—" Jewett said, explaining that he was busy with his work on the House Judiciary Committee. "I mean, I read the thing and didn't think it was really very well thought out. I didn't have time to really get my thoughts around it where I could engage meaningfully on it." Jewett wouldn't reveal where he was during the vote, though one lawmaker spotted him in a nearby committee room. "How many more questions do you wanna ask me?" Jewett said when queried about his whereabouts. "Depends on the answers," Seven Days said. "I wasn't in the chamber, obviously," Jewett said. Because lawmakers are not permitted to vote "present," they occasionally leave the House floor — or the building — when they don't feel comfortable choosing yes or no. Last month, 17 Republicans went missing during a vote on a resolution condemning Indiana's controversial religious freedom law, prompting the Vermont Democratic Party to issue a statement slamming them. Jewett said he doesn't make a practice of "taking a walk," as the practice is known. "I've walked on exactly two votes in 13 years," he said. 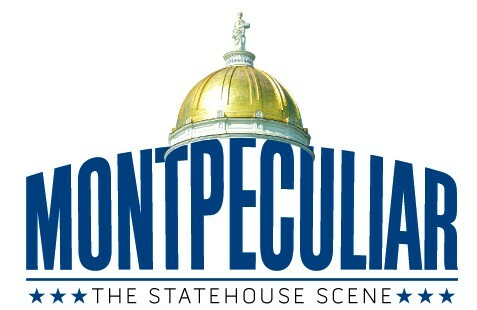 As majority leader, Jewett served on the board of the Vermont Democratic House Campaign, a leadership PAC that supports Democratic candidates. The VDHC raises much of its money from lobbyists and those who employ them, often at fundraisers it holds during the legislative session. Wednesday's vote would ban that organization and others from doing so. Last May, Jewett took part in a $500-a-head VDHC fundraiser at the Capitol Plaza Hotel in the closing days of the legislative session. At least two dozen lobbyists and a dozen Democratic lawmakers joined him for the event. Jewett has previously opposed campaign finance reform measures. When Wright and a bipartisan group of lawmakers called for more disclosure of PAC contributions and expenditures at a January 2013 press conference, Jewett trashed the plan, saying, "That's not campaign finance reform." He said House Democrats would come up with a better plan.